Ten million people are exposed to whiplash injury (related to an auto accident) in the All over world every year. In tests of low speed rear impact collisions, it was reported that the threshold for cervical spine soft tissue injury was 5 mph. Most rear impact accidents occur at crash speeds of 6 to 12 mph - speeds below the threshold for property damage to the vehicle - but sufficient to cause cervical injury. Whiplash can be obtained not only from diving into the pool but also when you experience a car crash. It is one of the most painful things that can mildly happen to anyone who meets a car accident. I personally haven’t experienced any carcrash and I’m thankful that I don’t suffer from whiplash. Some of my friends told me car accidents stories and I pitied these people who go through a treatment process from whiplash. 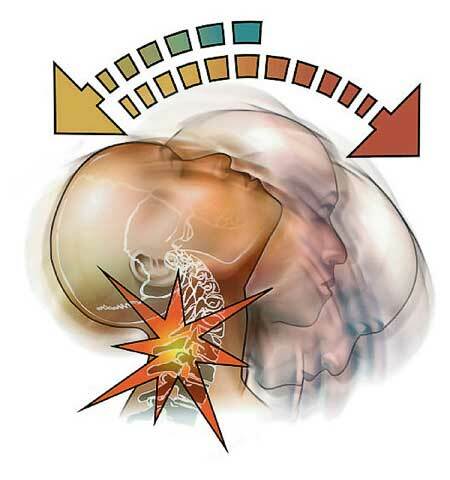 This whiplash is extremely painful because the neck is the one affected from pressure brought by a sudden impact. The muscles, ligaments and joints are over-stretched. 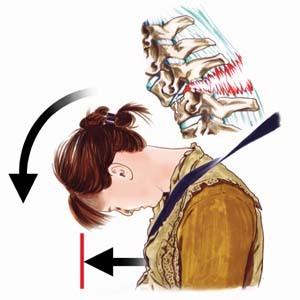 When neck is injured, it is very crucial to move it without giving proper treatment and relief. There are however, therapies that can be done and medicines which can be taken so immediate cure will be given to the patient. Since not only the neck may be affected by whiplash but also the spine, arms, etc., it is therefore very important to aid proper medication as early as possible once the accident happens. If you think that you’re eating habits will not get affected, then you can be wrong. The right kind of food that should be taken must also be consulted from a doctor, especially when a treatment is going on. You need to take food rich in certain vitamins that are essential in rebuilding tissues needed for full recovery of your neck and other body parts which are strained by whiplash. Thinking about these facts about whiplash, I’m planning to take more vivid observation on my actions. I need to bring safety along with me at all times, so I will not suffer from whiplash. Prevention is still better than cure, as always.